About this period, four years ago to be precise I had gone to visit a notable politician and a member of the Peoples Democratic Party. Politics was very much in the air then as is the case now, and my host was neck-deep in it all. He was a major grassroots politician and a man of experience who brought into party politics so much enthusiasm and elan. I observed him at very close quarters and it was right to conclude that he was one of President Goodluck Jonathan’s unwavering supporters. 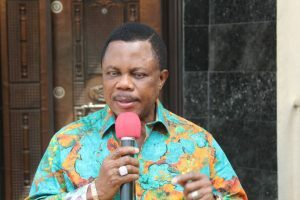 Publicly, he gave the impression that he had held down his state, and even a substantial part of his region for both the party and the President. 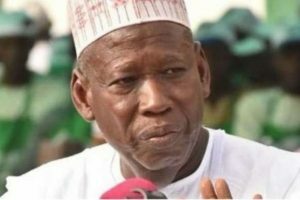 He reportedly ran a strong grassroots political structure which included traditional rulers, students, market women, religious leaders and the ordinary people who on election day were expected to vote en masse for the ruling party and put the then emergent and assertive All Progressives Congress and its leaders to shame. During election season, there are persons like that in every political party. They are the people on the field. 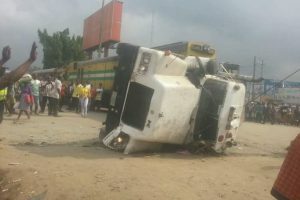 They take reports to Abuja, give feedback to the party at the national level and shuttle between their states and Abuja. They attend every major campaign. They say the right things. They pump up party leaders with adrenaline. When they do a calculation of the party’s chances and how happy the electorate are with the leadership, you would feel like celebrating even before the polls. The really talented ones among them are for the want of a better term, charmers or perhaps illusionists. This particular politician, who shall remain nameless, is experienced and talented. We got talking. He asked me: “Reuben, what do you think of the PDP’s chances in the 2015 elections?” I told him everything looked good and that the Party will retain its majority status in power. I reeled off the achievements of the Jonathan administration. The APC Challenge? I dismissed the APC as a party of propagandists. “Those people? 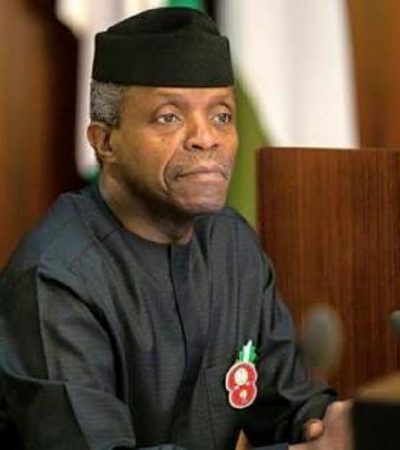 They will win in a few states, no doubt but they can’t take the Presidency…” When you are around politicians and you listen to them everyday, you are very likely to believe them and even begin to sound like them. Loyalty is also important, but this was not just about loyalty. I felt the President’s good performance deserved to be rewarded by the Nigerian people. “I don’t see us winning”, my host responded. I was shocked. I almost fell off my seat. I wasn’t too sure that I heard him well. I asked what he meant by that. The party primaries had been concluded. Turn-out at campaigns was beginning to build up. The state Governors were all upbeat, or so it seemed. The traffic of politicians to-ing and fro-ing the Villa was so much there were hold-ups at the gate. “We are going to lose”, my host repeated. “Yes, you are,” he affirmed. “This is serious”, I said. “But sir, why don’t you take this up at the highest levels, since you are convinced that the enemies are within”. “I am a politician,” he said. “Every politician is an optimist. It is not over until it is over.” I didn’t get a chance to ask him again about the spirit of error. But his prediction turned out to be prophetic. I believe that history is about to repeat itself in Nigerian politics. The ruling party, the All Progressives Congress is exactly where the Peoples Democratic Party was in 2014/2015. APC leaders are making exactly the same mistakes. The PDP which appears to have learnt some lessons, is suddenly a re-energized party and with the emergence of Alhaji Atiku Abubakar as its standard bearer and Peter Obi as running mate, the same Nigerian people who thought the PDP was bad are now turning around to say the PDP should be forgiven. All sleeping cells of the PDP across the country are suddenly awake. The umbrella is up again, the rope that tied the broom together is loosened. 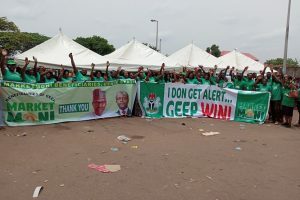 The success of the PDP in the last few months does not necessarily owe itself to any ingenuous strategy on the part of the leaders of the party, however, but more to the many unforced errors, and own goals, by the ruling party and its government. The government at the centre has lost the plot. When these days, its foot-soldiers and spokespersons argue that members of the PDP are corrupt, the quick response by even the worst critics of the opposition party, PDP, is that they can’t see any difference between the APC and the PDP. Some even insist that the PDP is better. In three years, the APC has frittered away its goodwill. The same international agencies and platforms that used to promote the administration have turned their back on it. Internally, the party has been overtaken by all kinds of little Hitlers who have no qualms imposing their will on others and trampling upon the letters of democracy. 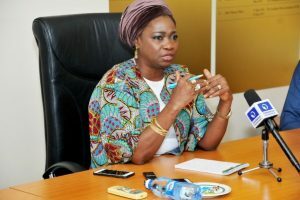 This much was put on embarrassing display during the recent Gubernatorial elections in Osun, and the party’s primaries across the country, but notably in Lagos, Osun, Rivers, Delta, Imo, Zamfara, Ogun, Oyo and so on. In 2014, five Governors walked away from the PDP. In 2018, many leaders of the APC have also taken a walk. The PDP told its disaffected members – “good riddance.” The APC is also singing the same song in 2018. In 2014/15, the APC’s selling point was President Muhammadu Buhari. He was promoted as a nationalist, man of integrity and a reformed democrat. He promised to fight corruption and the people hailed him. They were tired of the PDP. They wanted change. Many believed in him as the messiah who will turn Nigeria around. Close to four years later, President Buhari is now at that point where most Nigerian leaders find themselves, covered by that standard, unscientific excuse: “the good man who is surrounded by bad people, bad advisers and bad politicians.” The economy under his watch is slow and unproductive. In three months the country’s debt profile has jumped from N22. 4 triilion to $73.21 billion and the country wants to borrow more. His administration usually blames the previous administration. Many Nigerians no longer consider that a good strategy. They are similarly skeptical about the war against corruption. This last point is well illustrated by the recent announcement of a plan to effectuate Executive Order No 6, under which the government proposes to place a travel ban on some yet unnamed and undisclosed Nigerians. Under the Order, the government seeks to stop persons indicted for corruption from travelling abroad, and to attach their properties. 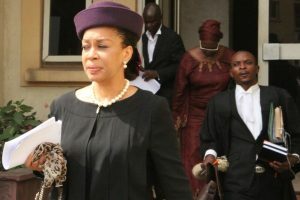 The argument by government spokespersons that they are relying on a judgement by Justice Ijeoma Ojukwu of the Abuja Federal High Court has been exposed for what it is: a lie, a ruse, an attempt to misinterpret the court, knowing that the judge is not likely to engage in a market-place explanation of its own ruling. That was the same thing they did at the 2018 NBA Conference, when they said the rule of law could be violated and that the Supreme Court had given them the right to do so in the Asari Dokubo case. This is not good for the state of our law. The Court was clear: the Attorney General of the Federation can apply Executive Order No 6, only through the instrumentality of a Court Order. By by-passing the Court, the Executive arm seeks to be the judge, the jury and the executioner in its own case. It usurps the roles of the judiciary and the legislature, and serves notice of a return to dictatorship. The Order as proposed has been correctly described as a reincarnation of the notorious Decree 2 of 1984 and a violation of Section 41 of the 1999 Constitution. The newspapers published a list of 50 names but the Executive has since announced that it has not published any list, but the people concerned know themselves. How? The combined effect of this opaqueness is that the government has imposed a regime of fear on the people. 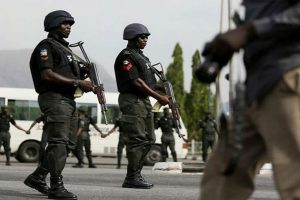 A secret watch list which can be applied at will is an act of intimidation against the Nigerian people. It is reckless and unwise, because political intimidation is the worst, most brazen form of rigging! In an election season, it is scary. As a strategy, it makes no sense. At a time when the President and his party need the people’s votes, an open subversion of the rule of law is not a good method of votes solicitation. Whoever chose this time to take Nigeria back to 1984, has only strengthened the resolve of those who are already whispering that a second term for President Buhari would translate into misery for Nigerians. Executive Order No. 6, rather than further advance the anti-corruption war, has merely promoted fear and intimidation as instruments of governance. This is one more major error by the Buhari government. I may see the need to visit that senior politician again to give me the benefit of what old men see sitting down, which younger men may not see even when they are standing. While writing the piece above, I kept receiving on my phone what’s app messages attacking Deputy Senate President Ike Ekweremadu. I am sure other Nigerians would have received the same hate-message either on whatsapp or through other media. Ekweremadu is pointedly accused of being the brain behind the Igbo drama over whether or not Peter Obi is the fit and proper person for the position of running mate to Atiku Abubakar, on the platform of the Peoples Democratic Party (PDP). 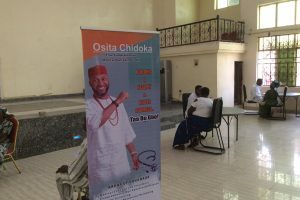 While other Nigerians have settled that matter and concluded that Peter Obi is in order, and that Igbos deserve to be Vice President of Nigeria and even President in due course, the Igbo elite, playing well-known stereotypical politics, are trying to create a little self-serving show of their own. They don’t need it. They should look at the bigger picture, and stop behaving like a child that lost a promised candy. The persecution of Ekweremadu is unfair and undeserved. Ekweremadu, yes, has been council chairman, Secretary to the Government of Enugu State, a Senator since 2003 former Speaker of the ECOWAS Parliament, and two-term Deputy Senate president, and one of the persons on the Atiku shortlist. He deserves to be celebrated and not be used as a scapegoat for the discomfort of other persons who lost out in the race. Ekweremadu himself has said that he is in support of Peter Obi. So, who are the agent-provocateurs out there in the East? Ekweremadu was for a while the last man standing for the PDP and Ndigbo. He is paying a heavy price for this. He has been brutalized. The ruling party attacked him with the police and the EFCC. He was accused of having properties. They are charging him from one court to another. 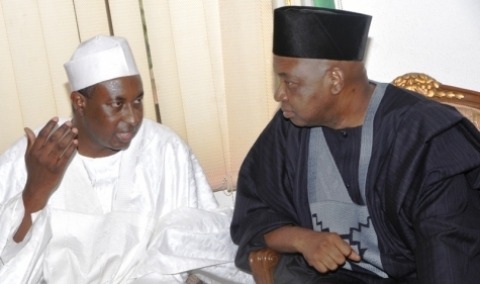 His emergence as Deputy Senate President and his loyalty to Senate President Bukola Saraki made them unhappy. When the PDP seemed to have completely lost its bearing, Ike Ekweremadu stood firm. He deserves recognition for this. The political jobbers who are trying to set him and Peter Obi on a collision course even before the 2019 elections are enemies of Ndigbo. 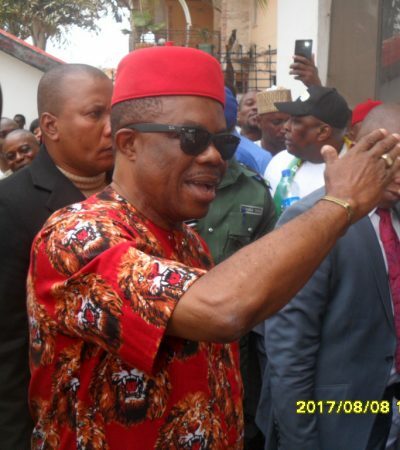 The urgent task before the Igbo elite is to seek those who are trying to divide them, the mercenaries among them, and the need to protect the larger Igbo interest. Both Ike Ekweremadu and Peter Obi deserve the support of the Igbo elite, not a squabble of the villagers.